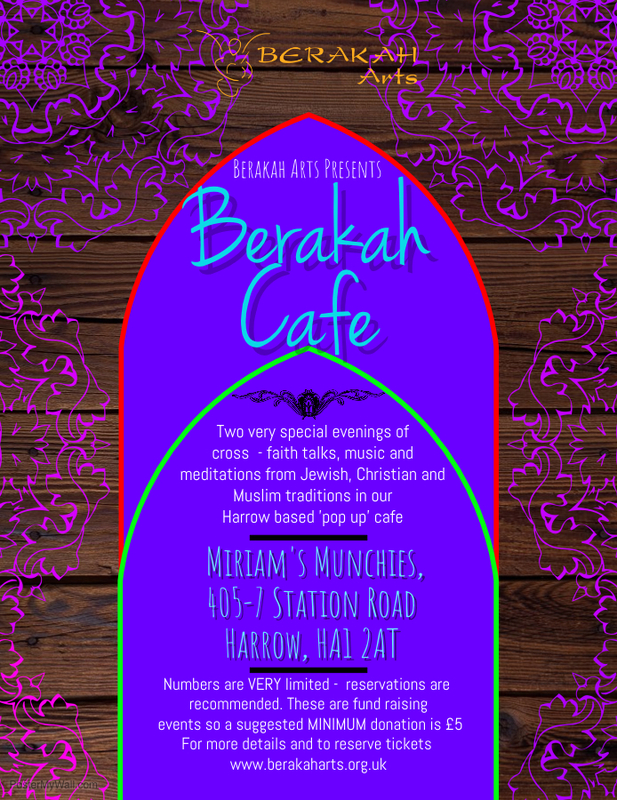 Berakah Arts excitedly announce our very first ‘pop up’ evening cafe events at the lovely @Miriam’s Munchies in Harrow. 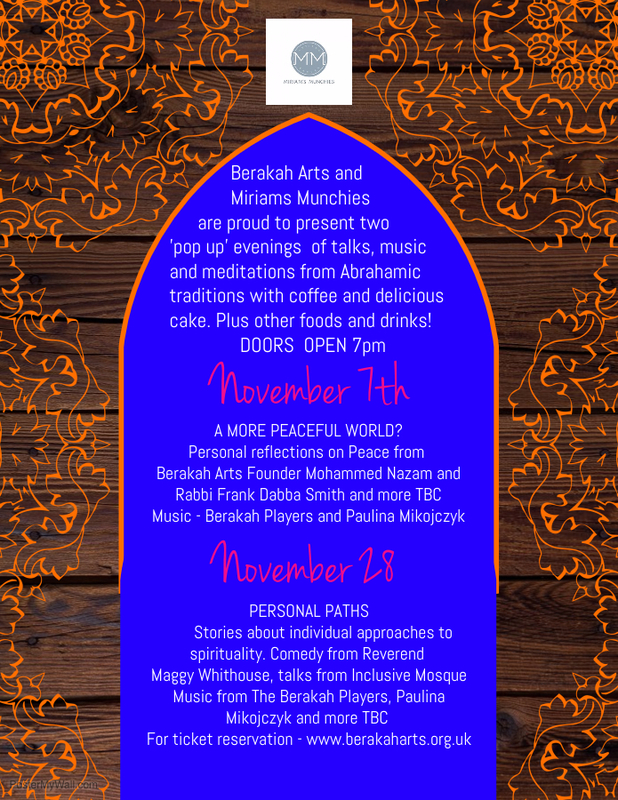 Two nights in November featuring talks, meditations and music that celebrate our human connections to each other and the power of spiritual community. Some details are still TBC and although it’s free these are fund raising events so that we can continue our work so there will be a minimum donation. Tickets will be limited as Miriam’s Munchies is perfectly formed yet petite so please reserve your ticket as soon as we release the ticket links. We are VERY excited about these intimate evenings where we invite you to get to know each other better and find out a bit more about why we are all the same.